Praise God from Whom all blessing flow!! 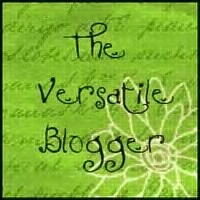 A special thank you goes to Admin @ Pure Glory (http://pureglory.net) for honoring Faith 1st Ministry with the nomination for The Versatile Blogger Award—it is indeed an honor! Thank you so much! I have been blogging since November 2011. I like the ministry opportunity that blogging offers. I love to help people find their place and purpose in the will of God. I am amazed with the response to my blog. My wife and I went zip-lining this past summer…what a rush! The tiger is my favorite animal. I congratulate every blogger here…you inspire me! Enjoy your honor and may the Lord bless you as you continue to write! Add a picture of the award to your blog post. Thank the blogger who nominated you and include a link to their blog. Nominate 15 other Blogger and inform those 15 that they have been nominated. GOD BLESS AND HAPPY BLOGGING!!!! Hello, thank you and you’re welcome! I appreciate you stopping by and taking time to read my blog! I look forward to a long and fruitful journey between us as well! Blessings to you and yours! You are brave to go ziplining. I avoid it at all cost, where I live they are everywhere! You’re welcome Yvette! Yeah, it was a little brave because I had not done anything like that before. I took my wife as a part of her birthday week festivities and we had a blast–can’t wait to do it again! Bless you! Thank you for your kind and inspirational words, Sebastian. I am greatly honored. Hello Dei…you’re welcome! You are an inspiration yourself…thank you for what you do! Sebastian, how humbled I am to read such kind and generous words of how I have been an inspiration and of aspiration to you and your blog! Thank you for the blessing of the award nomination as well! God is my Rock, Strength and Fortress! The blessings in overflow comes from He Who imparts such gifts and wisdom to me to exhort and love on the body of Christ and those lost and seeking refuge. Jesus is our great refuge! Praise the Lord! Thanks again and God bless! Hello Terra and you are welcome! You are such a blessing to me and the Body…keep doing what you do! God bless!